A lot of contemporary childrens' books feature wisecracking kids and potty humor, which both admittedly have their time and place, but as a parent of a 10 year old and a 7 year old, I miss old-fashioned fairy tales. Don't you? 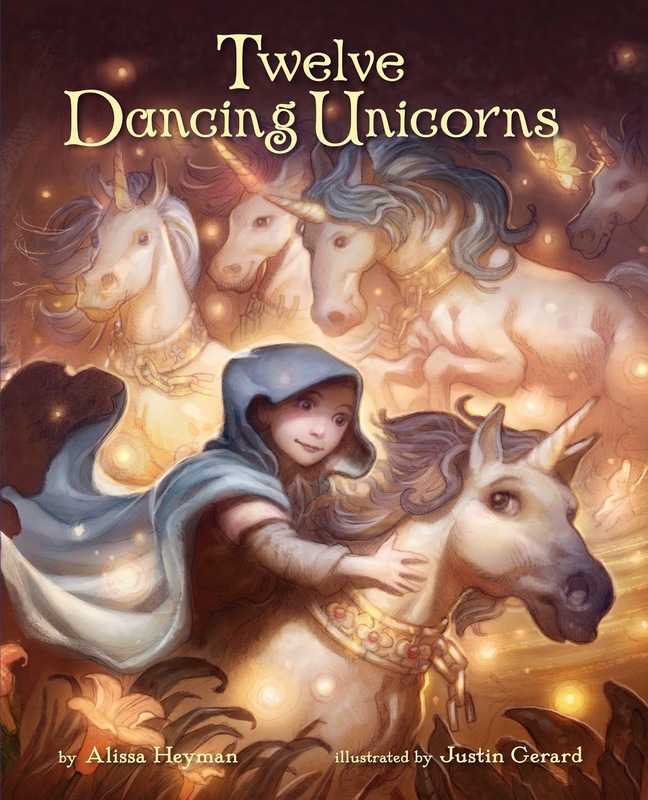 Twelve Dancing Unicorns is a good old-fashioned fairy tale. In fact, it's based on the Grimm classic "Twelve Dancing Princesses," although the substitution of unicorns is welcome, since most parents are probably princessed-out by now. And I may or may not have had a stellar collection of pewter and porcelain unicorns as a little girl. Ahem. The story is simple and illustrated with beautiful, fantastical imagery to captivate children. Jasper was particularly intrigued by the golden chains that have to be reforged every day, which I chalk up to his interest in blacksmithing. This book would make a lovely gift for dreamers of all ages. Follow the Twelve Dancing Unicorns blog tour tomorrow on Literary Kids: literarykids.tumblr.com.